But there's been a lot of confusion about which older versions of Windows will be eligible for the free update, and some uncertainty about whether folks will be getting the Pro or the Home edition of Windows 10. Microsoft even added to the confusion with a vague statement that made it sound like pirated copies of Windows would be upgraded to a genuine version of Windows 10, so there's definitely a need for some clarification. If you've been unsure about your eligibility for the free upgrade to Windows 10 and don't know which edition you'll receive, I'll break things down as simply as possible below. I'll even offer a hack for upgrading your Home edition to Pro for free—even if it's pirated. First off, if you're running an official version of Windows 7 or 8.1, you will be eligible for a free upgrade to Windows 10 as long as you reserve your copy by summer 2016. Note that Windows 8 users should have already received a free update to Windows 8.1, so if you're still on Windows 8, check for a system update. Additionally, the Enterprise editions of Windows 7 and 8.1 are not eligible for the free upgrade (sorry, business owners). If your current Windows version is in the above list, reserving your free Windows 10 upgrade is easy. At some point—either right now, or in the near future—you should see a small Windows logo appear in your task bar. Simply click this logo to get started. At this point, a window will pop up. 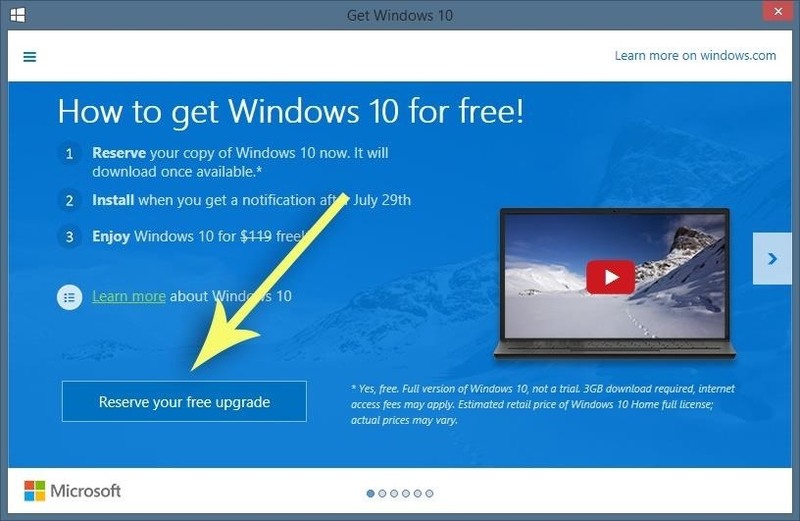 Click the "Reserve your free upgrade" button, then enter your email address to ensure that you'll get a free copy of Windows 10 upon release. When July 29th comes around, you'll be able to click this same Windows logo in your task bar to start the installation process. If your copy of Windows 7 or 8.1 is pirated ("Non-Genuine" in Windows speak), you will still be able to upgrade to Windows 10 for free. To be clear, though, upgrading to Windows 10 will not launder your pirated copy of Windows, so you will still see a message saying "This copy of Windows is not genuine," and your desktop background will still turn black after an hour. If your current version of Windows is not eligible for an upgrade to the Pro edition of Windows 10, there may be a workaround, though we won't know for sure until July 29th. For folks running a Non-Genuine copy of Windows, or any version of Windows that is not eligible for a free upgrade to Windows 10 Pro for that matter—or even someone not using Windows at all—this is at least worth a try. For starters, you'll have to join the Windows Insider Program and download a copy of the latest Windows 10 Preview before July 29th. Once you've got that taken care of, burn the Windows 10 Preview ISO file onto a disc or mount it on a USB drive, then completely wipe your existing Windows (or other OS) installation (format your hard drive). At this point, use your Windows 10 installation disc or USB drive to install the latest preview build. Once you have the new Windows 10 Preview installed, make sure you're logged in to your Windows Insider account, head to the Settings panel from the Start Menu, then choose "Update & Security." 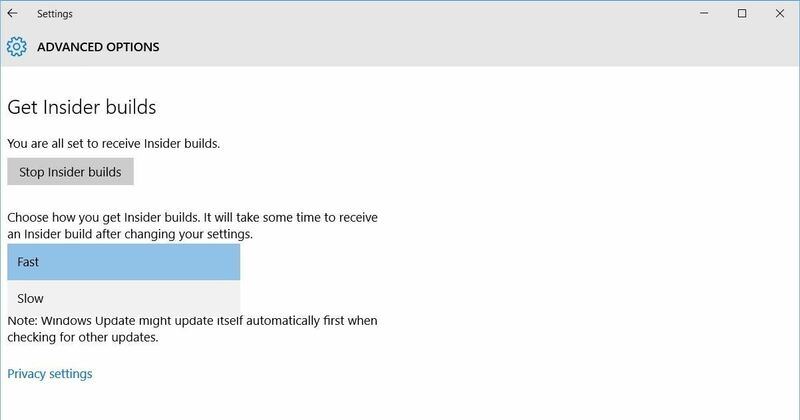 From here, click the "Advanced Options" button in the Windows Update section, then change your update schedule from "Slow" to "Fast." This is unconfirmed, and we won't know for sure until later this month, but we're speculating that if you're already running this pseudo-Pro edition of the Windows 10 preview, you may automatically be upgraded to Windows 10 Pro when the full version is released. This means users who are ineligible for this free upgrade, or would normally only be eligible for the Home edition, could possibly get a free bump to the Pro version instead. 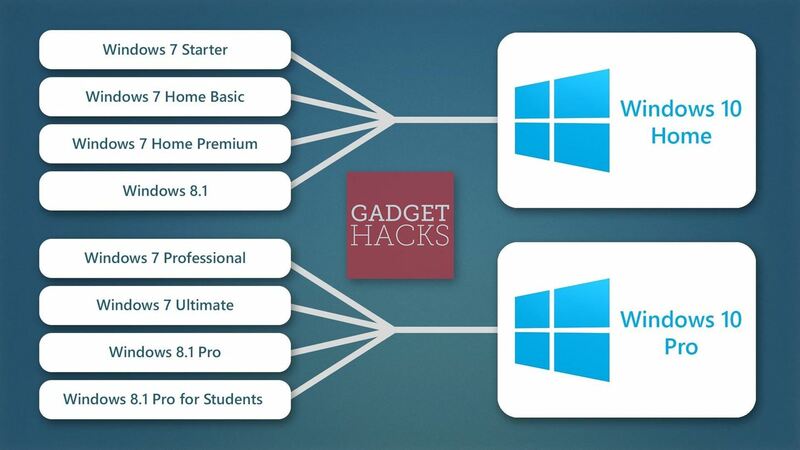 Which edition of Windows 10 will you be getting? Let us know below, or drop us a line on Facebook, Google+, and Twitter.